The Medical Office Specialist Program is a 10-week program of full time instruction designed to provide students with the necessary skills to obtain entry level employment in a medical facility. Students are cross trained in both the clinical and administrative duties that are required to work effectively and productively in a medical setting. This program is licensed by the Arizona State Board for Private Postsecondary Education. Students will test for the National HealthCareer Association Clinical Medical Assistant and Medical Administrative Assistant Certification. A total of 309 clock hours which includes 139 lecture, 50 Laboratory, and 120 externship hours. Students will be provided an overall orientation of Regional Center for Border Health, Inc., and complete required student file forms. During this orientation, students will be provided a short Medical Terminology course with an evaluation at the end of the course to measure understanding. Students will be taught how to "break down" medical terms using prefixes, root words and suffixes to promote a basic understanding of the terminology used in the medical field. The introduction explains the importance of developing professional behaviors as related to the allied health care profession. Learning styles will be discussed with the students to explore their personal learning style. A history of medicine is reviewed with emphasis upon the well-known historical medical pioneers. The student will briefly discuss the history of medical assisting, differentiate between administrative and clinical medical assisting, learn about the current outlook for employment and develop an understanding of the difference between professional and unprofessional behaviors. The student will learn about the credentialing process, why confidentiality is so important and the difference between non-verbal and verbal communication. Students will learn how their own personal belief system affects medical ethics, how to define different ethical issues, how laws affect the medical field and describe unique ways to protect patient confidentiality. Students will be able to identify different governmental agencies and understand their purpose. The student will learn several ways computers assist the medical practice, understand basic computer functions, and explain basic computer components. Students will be able to describe appropriate telephone techniques, project a caring attitude over the phone and how to handle the difficult caller. Students will be able to describe scheduling guidelines in the medical practice, patient amenities, emergency/disaster preparedness, the office mission statement and how these relate to the student. Students will be able to identify essential community resources, personal technical resources and how to handle, write and process business communications. The student will be able to explain and describe why the accuracy of medical records is important, who owns the medical record, and the difference between the traditional medical record and the electronic medical record. The student will be able to explain how to establish and organize a patient's medical record. The student will be able to describe and differentiate between subjective and objective information, identify the various types of information that is kept in the record. The student will identify the systems used for organizing the medical records. The student will learn and demonstrate effective Health Information Management tasks during this portion of the program. The student will be able to identify and utilize the ICD-9 Coding Manual to determine the appropriate code for a specific disease. Students will understand the process of looking up the appropriate code using the tabular, alphabetic indexes and how the modifiers to codes are applied. Students will utilize V and E codes appropriately to demonstrate understanding of procedures and environmental factors described in the coding manual. The student will be able to understand the coding conventions, guidelines and layout of the CPT Coding Manual. Students will be able to demonstrate appropriate procedure coding, based upon information provided by the medical records. Students will be able to utilize the CMS-1500 form, code both ICD-9 and CPT codes in the appropriate locations on the form. Students will understand the difference between "clean, dirty and rejected" claims. Utilizing knowledge gained in section, students will understand accounts receivable as this is applied to patient accounts and how to track unpaid claims. The student will explain how the internet has changed traditional banking practices. Students will identify and explain the four requirements of a negotiable instrument, identify and discuss the three most common types of bank accounts including advantages and disadvantages. The student will be able to differentiate between accounts payable and receivable and will identify and explain the difference between a single entry and a double entry accounting system. The student will list and discuss the types of leaders, explain the importance and desirable qualities of effective medical office management and how effective managers are able to apply Human Resources policies equally. The student will understand and create a marketing plan for a practice. Students will obtain information regarding community resources that may be of benefit to the practice. The student will gain an understanding of how the chain of infection works, how breaking the chain of infection can limit diseases from being transmitted to others and demonstrate effective infection control practices. Students will learn and demonstrate appropriate aseptic techniques. Students will learn what assessments will be expected of the Medical Office Specialist in the clinical area, how to communicate clinically with patients and what physicians may expect regarding the Medical Office Specialist's assessment. Students will learn appropriate medical record documentation, learn how to assess and educate the patient regarding the patient's disease processes and treatments. Students will demonstrate knowledge of appropriate nutrition for patients in the complete life cycle, obtain and assess vital signs and assist the physician with the primary physical examination. Students will be expected to demonstrate proper hand washing, develop special diet menu plans and develop patient educational handouts. The student will learn about governmental agencies that regulate drugs in the United States, will learn about the regulations regulating prescribing medications in the medical practice. Students will learn about drug calculations, measurement systems, patient rights regarding medications, recognize the parts of drug labels and understand the different classifications of medications and their indications. Students will learn and demonstrate different parenteral forms of medication administration including intradermal, subcutaneous and intramuscular injections. Students will create and present to the class medication information facts including the class of medication, the indications, contra-indications and potential side effects of the medication presented. The student will learn how all 11 body systems work, how the body systems interact with other systems and how diseases affect these systems. The student will understand how to interact with the different patient population from infants to geriatric patients. Students will understand & demonstrate appropriate physical and mental health assessment skills. Students will learn and demonstrate effective emergency preparedness, successfully demonstrate Cardio-Pulmonary Resuscitation techniques and become certified in CPR. The student will develop and present patient educational programs for different age groups. Students will learn about different types of diagnostic procedures including demonstrating appropriate application of the ECG leads, recognizing abnormal ECG rhythm strips and calculating the heart rate per minute. Students will learn about radiologic imaging and how to position the body to obtain the study ordered by the physician. Students will learn about the different areas of a medical laboratory, how to handle/transport laboratory specimens and how to perform phlebotomy. Students will demonstrate appropriate phlebotomy techniques, know the names of the venipuncture sites and utilize a variety of equipment to obtain blood samples. Students will learn about laboratory microbiology and identify a variety of microscopic structures using the microscope. Students will learn about physician office surgical set -up, minor procedures, surgical asepsis and cleaning and sterilizing surgical instruments. Students will understand the difference between medical asepsis and surgical asepsis. Students will demonstrate surgical aseptic techniques during simulated surgical procedures. Students will learn about effective job search, different job search techniques, and create an effective resume. Students will present a "self-marketing" plan to the class and review classmates resumes. Students will attend affiliated clinical sites and perform the duties of a Medical Office Specialist under the supervision of a Medical Office Specialist Preceptor. Students will be expected to be at the clinical site all days of the week the clinical site is open for business. Students will be evaluated by the preceptor for clinical and administrative skill knowledge and performance. Students will be expected to keep the clinical site preceptor and training site informed of any irregularities that arise. 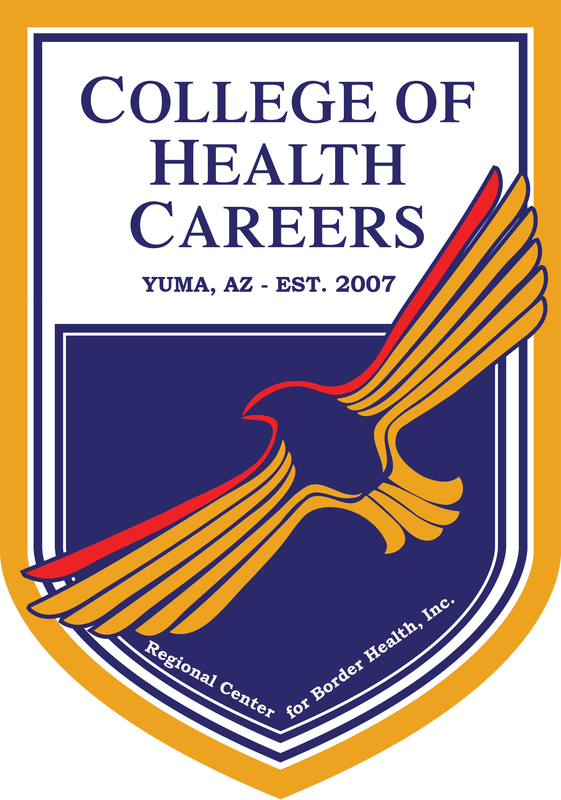 Regional Center for Border Health does not guarantee a graduate employment.